Tapping into every player’s deepest desire to break the bank and clean it out, this follow-up to the wildly popular original version of Break da Bank caters especially to high rollers with a yearn for wagering large amounts in an effort to win even larger amounts. Break da Bank Again is an incredible five reel pokie with many functions for all to enjoy. The Break the Bank Again pokie have brought joy to many online pokie enthusiasts and it isn’t hard to see why. 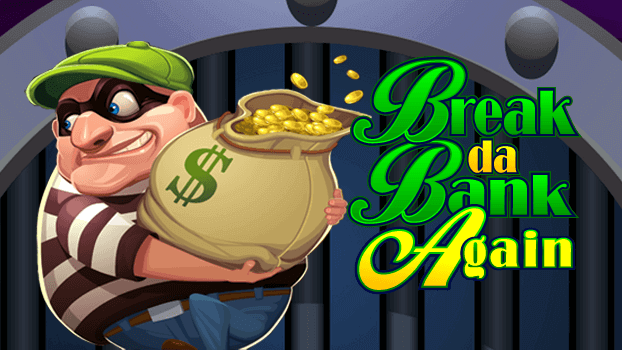 Read on for more on the incredible Break da Bank Again slots game below! 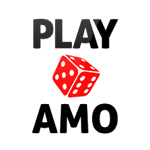 It’s important to note that this is a high roller game which contains a low hit rate, with high volatility. The default bets in Break da Bank Again are high and are not suitable for beginner/novice-type players. Break da Bank Again Pokie took the original concept of the game and added a modern spin to it, the updated version not only offers substantially more gaming features but also sports a polished 3D interface that is sure to thrill those with a penchant for great aesthetics. Microgaming’s™ developers included lots of lovely lucre, glittering precious stones, shiny gold ingots and a massive vault to set the scene for some great Slots action not to mention that this Slot also offers players a redesigned gaming engine with larger jackpots and offers the player an upgrade of 5 Reels and 9-Paylines over the 3 Reels and 5-Paylines of its predecessor. In addition to flashy graphics the Break da Bank Again also boasts Free Spins, Scatters and Wilds. Break da Bank Again Pokie offers you up to 25 Free Spins when you strike it lucky by triggering 3 or more Scatters represented by the Vault symbol. The amount of Free Spins you’re eligible for solely depends on how many Scatters you trigger – 3 Scatters give you 15 Free Spins, 4 Scatters award 20 Free Spins and lastly 5 Scatters grant 25 Free Spins with all wins multiplied by 5x. During the Free Spins feature, all the regular payout rules apply, however, the Wild symbols represented by the Slot’s logo will produce a fantastic 25x Multiplier when it is used to complete a winning combination during the Free Spins mode. The Wild symbols substitute for any symbol in an attempt to complete a winning combination; on top of that, it actually delivers 5x Multiplier on all successful completions. Break da Bank Again Pokie has yet another feature in store for those looking to get in on more action and of course more ways of winning – the Gamble Feature has drastically grown in popularity and it’s clear to see why. Whenever you make a win you can decide if you’d like to wager that win on the Gamble Feature giving you the opportunity to double or even quadruple your money if you pick the correct colour and suit of card. Break da Bank Again wouldn’t be complete with a number of large jackpots that really make you feel like you’re breaking the bank. You stand the chance to dash away with loot worth 18,750 in the Base Game and an adrenaline-pumping 93,750 in the Free Spins mode. We give Break da Bank Again real money pokie 4 out of 5 as it positively offers a great time filled with great features and amazing graphics. If you want to make a quick getaway with bags full of cash look no further than this explosive Slot.